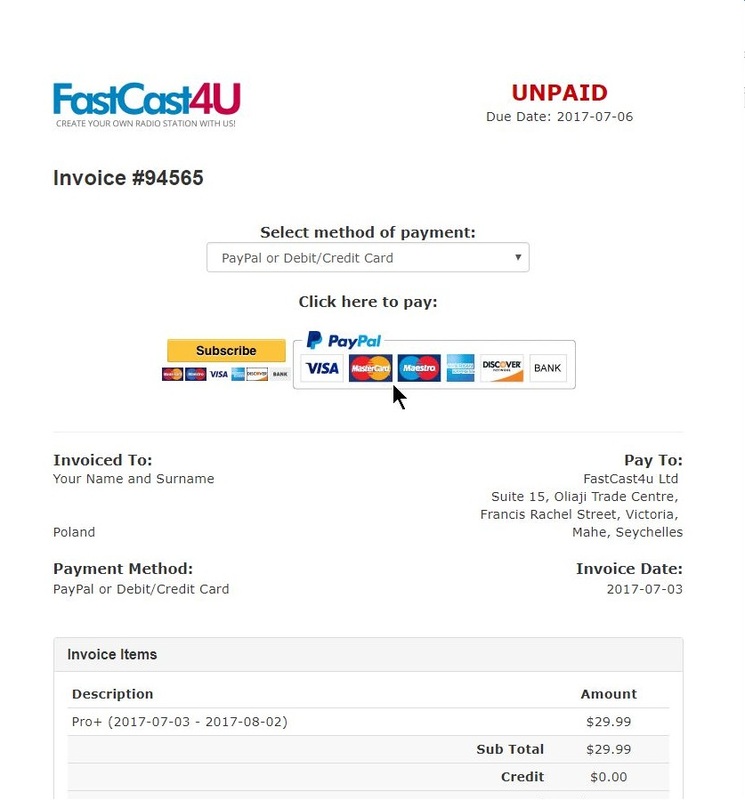 FastCast4u | How to pay with a card through PayPal? 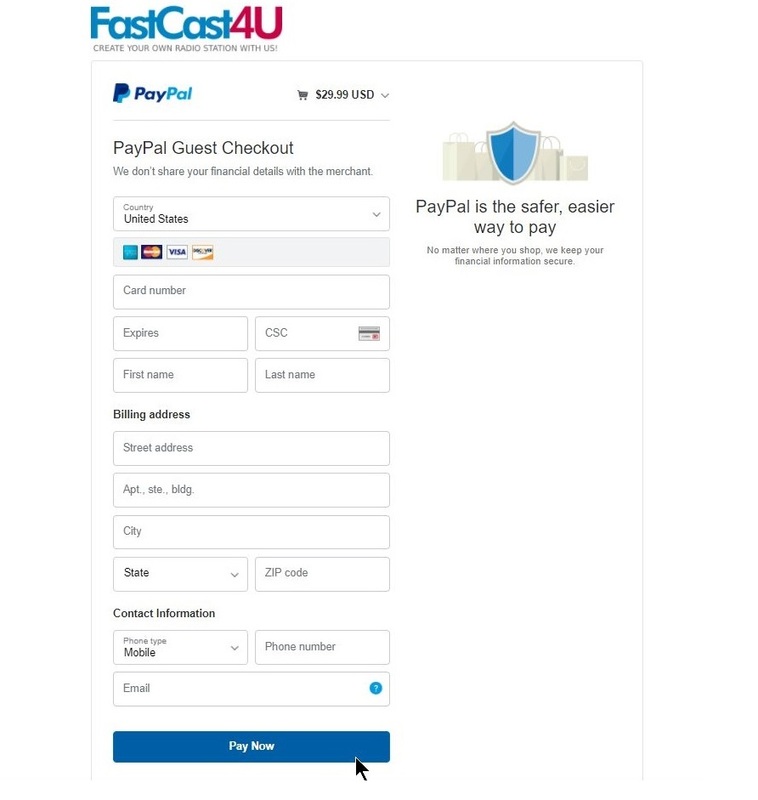 Help | How to pay with a card through PayPal? Can you easily make a one-time payment with a card through PayPal without a PayPal account. You won't be forced to register nor create such an account when you select this method of payment. 1. 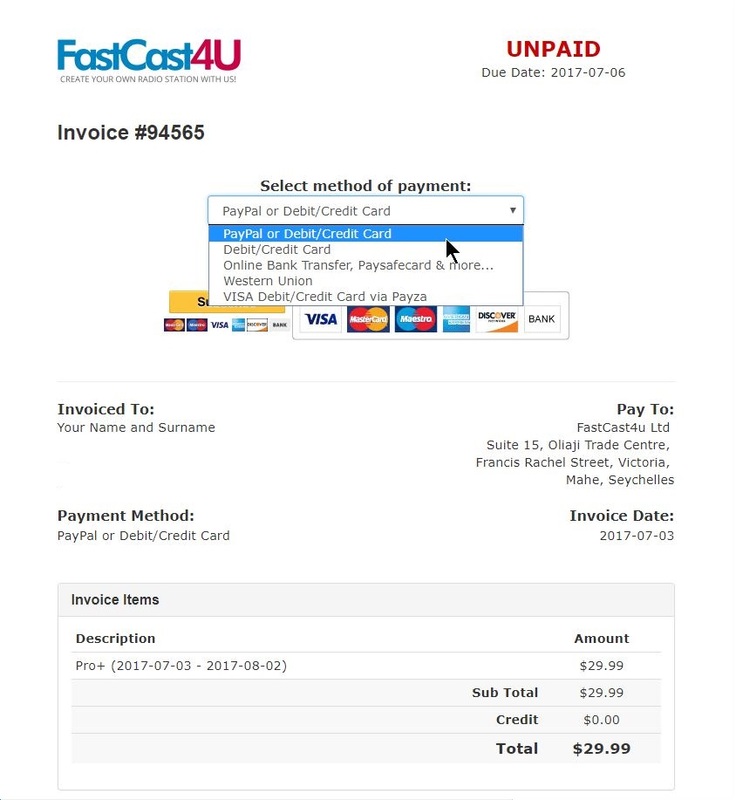 Open your invoice and make sure that PayPal od Debit/Credit Card option is selected as the payment method. Click PayPal or Debit/Credit Card button. 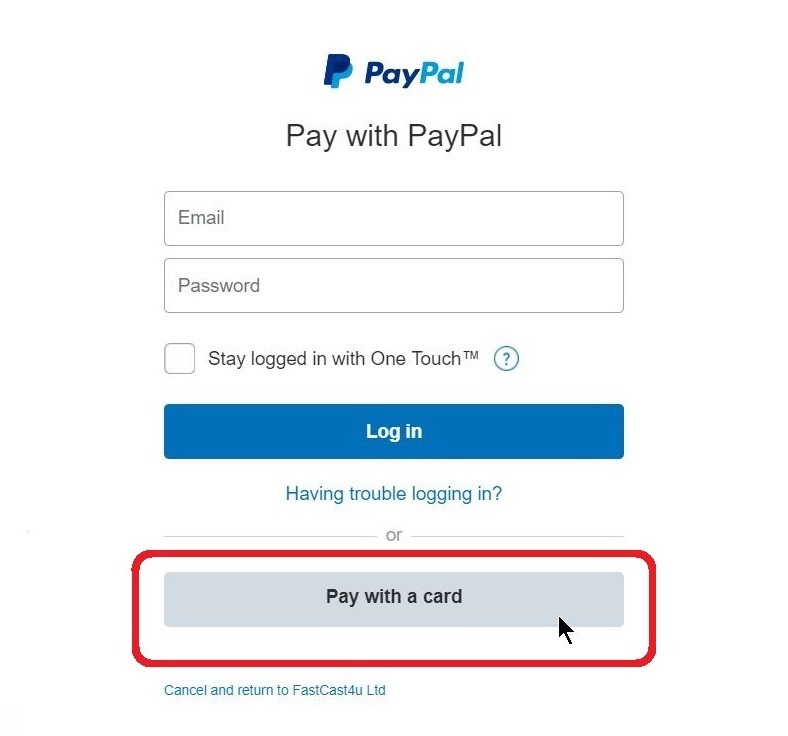 To make a quick, one-time payment through PayPal, select the Pay with a card option. No subscriptions will be created. The payment will be processed by PayPal.